This Sunday’s daylight saving time brought with it an extra hour of light and the promise of spring for those of us in the northern hemisphere. But the spring forward also means one less hour of sleep and a seasonal transition that may take some getting used to. This is the perfect time of year to revisit your sleep routine and implement new habits. Here is your ultimate guide to maximizing rest for your most energetic spring yet. Why does daylight saving affect our bodies? 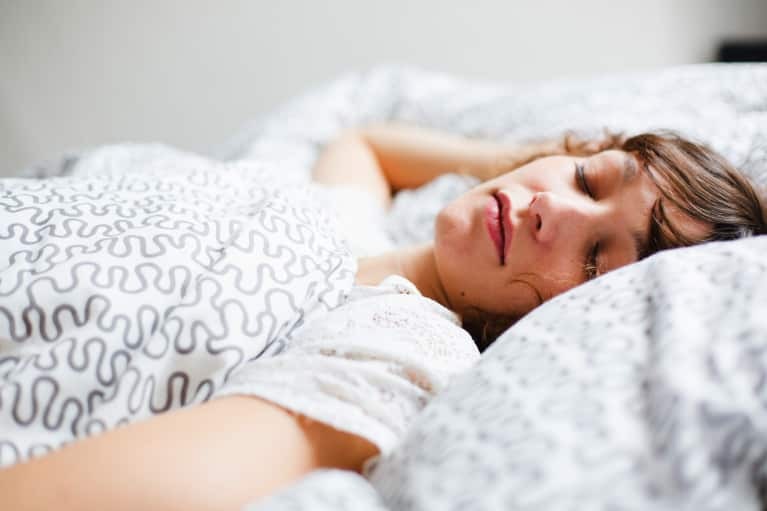 While skipping over one hour of sleep may seem like no big deal, research finds it could be pretty damaging—especially if you’re someone who doesn’t get enough shut-eye to begin with. Small disruptions in sleep can add up to mess with our mood, attention span, and mental sharpness. And this fogginess can stick around for a while. In fact, one study out of the University of Colorado found that there are more fatal motor vehicle accidents during the first six days after the clocks spring ahead. In addition to making us lose sleep, spring forward means the sun will rise later in the morning. Sunshine helps fire up our internal clocks and regulate our circadian rhythms, so waking up in darkness can throw us off. The good news is, science shows we can reset our body’s internal clock in as little as a couple of days. The secret to getting back on track? Practicing good sleep hygiene for the days following spring forward and investing in a mattress that supports a good night’s rest, like Avocado Green Mattress. Their nontoxic mattress offers pressure-point support for all types of sleepers thanks to its 100 percent natural, VOC-free latex foam. At the same time, its sustainably sourced wool layer helps to regulate your sleep temperature through the night (which is actually a huge determinant of overall sleep quality). Plus, since the entire mattress is made from sustainable, natural ingredients like organic cotton and wool, you can rest easy knowing that you’re not inhaling harsh chemicals that can off-gas from synthetic mattresses. Research shows that such contamination can cause headaches and fatigue and increase the risk of respiratory diseases like asthma. Pair your nontoxic mattress with these holistic sleep hacks and get ready for the most restorative rest ever. Holistic hacks that will get your sleep schedule back on track. While sleeping in a little later this week may sound appealing, resist the temptation. Wake up at your normal time to help the body’s internal clock regulate. Upon waking, drink water with lemon or apple cider vinegar to quickly hydrate and kick-start your digestion. Then, if you can, wait until the sun rises and take a walk outside. Getting moving first thing in the morning is a super-healthy practice, and doing so outside is one of the quickest ways to help your body thrive considering time in the sun can do everything from increase our vitamin D production to improve immune function and boost mood. Come mid- to late-afternoon this week, you’ll want to avoid pumping your system with anything that will keep you up at night, since your body will naturally want to fall asleep later anyway. Time to make energizing (but caffeine-free) tonics your new best friend. Gather the supplies for a turmeric powder and ginger tonic or adaptogenic potion at your desk, and make a ritual of practicing this small act of self-care that will set you up for a more restorative sleep. 30 minutes to 1 hour before bed, turn off your phone and all electronics in the bedroom. 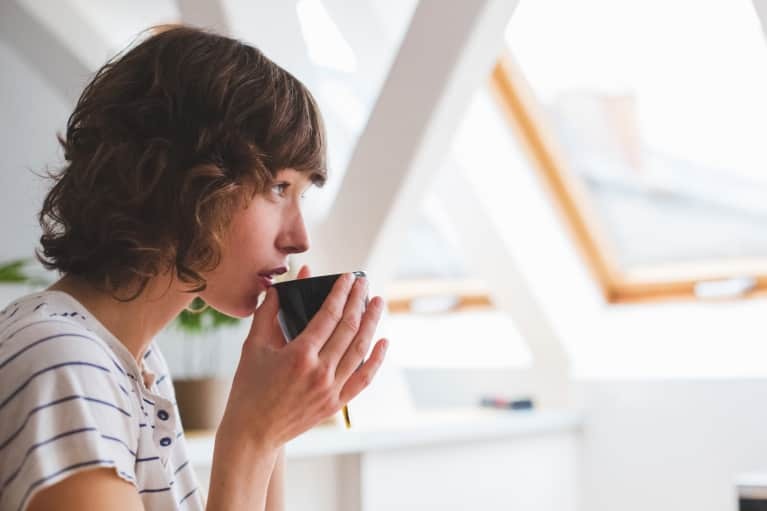 Sip a cup of calming herbal tea (bonus if you want to use it to do a facial steam, too), and sit in bed with a book, journal, or something else low-tech. Right before bed, sit up and begin to steady your breath. Work your way up to inhaling for a count of two, holding the breath for a count of one, exhaling gently for a count of four, and holding the breath for a count of one. Repeat for a few moments. Internally express gratitude for three things that happened that day. If you have a particularly stressful day coming up, visualize yourself flowing through it with ease before lights out. All of these exercises are meant to promote relaxation and regulate your sleep this week and all year-round. Pair them with an Avocado Green Mattress, pillow, and mattress topper, and rest easy knowing that you’re in for a restorative slumber.